Last year, I finally read 'A Brief History of Time'. It was mind-blowing. Entertaining. And inspiring. As much as I love staring into the stars, I had avoided touching the book for the longest time. I was afraid I would not understand a thing and feel like an idiot. I was afraid the mystique of black holes would be lost. I was afraid I would be bored to death. But finally, I summoned the will and courage to pick it up - and I was done with it within a day. Last week, the world lost Professor Stephen Hawking - and one of the greatest human minds along. It is truly a miracle that he has even lived this long. Stricken by a rare and incurable disease called ALS, most of his adulthood is spent paralysed, and bound to a wheel-chair. After losing his voice, he resorts to tapping words on a device that artificially generates speech. And yet, he continued to lecture, write books and develop new theories about the universe. But even as his muscles atrophied, his spirit only hardened. Although death may have been a shadow away, he never stopped living. In 2015, Hawking admitted making his "biggest blunder" in positing that there was a total information loss inside a black hole. 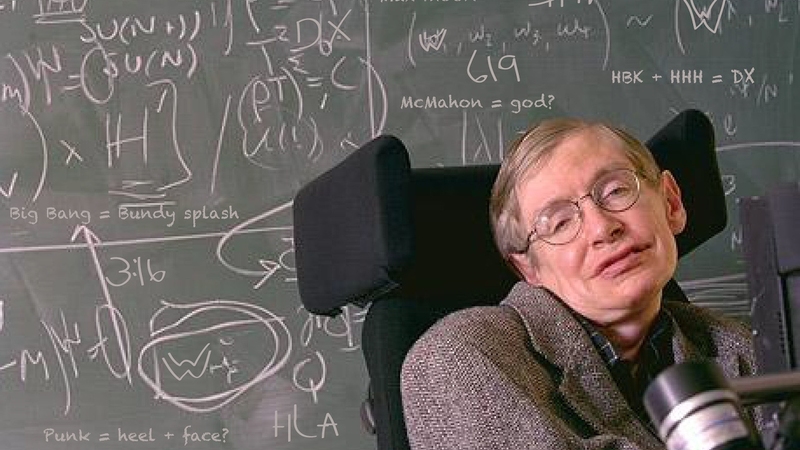 Scientific studies had strongly challenged a fundamental cog of his grand theory, and he was humble enough to concede. As he once said: "The greatest enemy of knowledge is not ignorance, it is the illusion of knowledge". And perhaps that's the greatest lesson we can draw from his life. That we must always be critical of our own beliefs. That we must never be too sure about what is right and wrong. That for as long as we live, we must never stop searching for the truth.